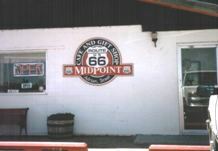 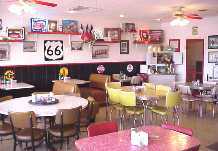 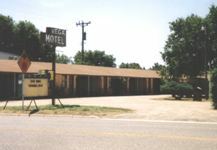 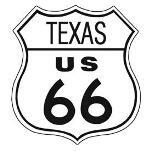 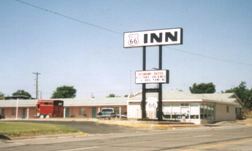 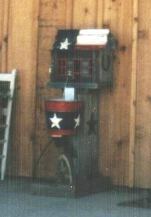 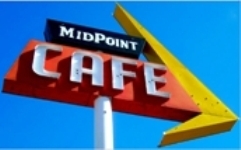 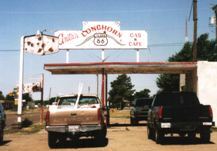 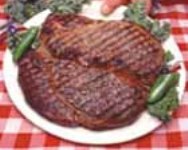 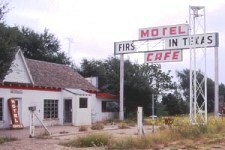 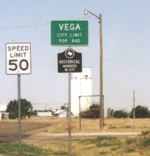 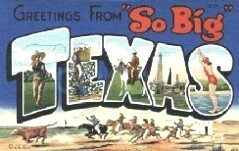 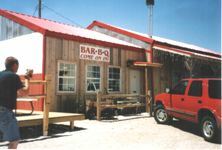 Visit Texas Old Route 66 Association. 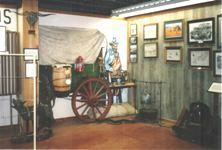 They have lots of historical information about in the Lonestar State. 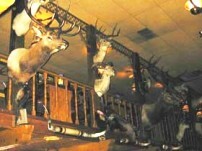 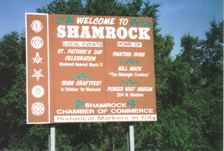 We crossed the border to Texas and arrived in Shamrock. 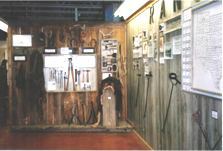 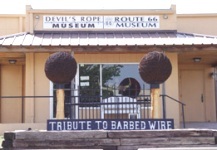 ranch tools, an exhibition of the life of the cowboys and a beautiful Route 66 Museum. 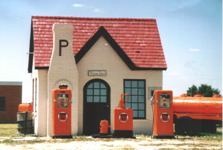 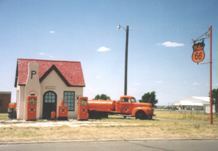 Also in McLean is the restored first Phillips 66 station of Texas. 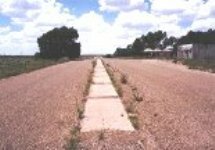 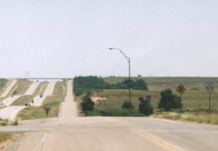 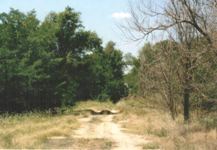 An abandoned alignment and as Frontier Road along I-40. 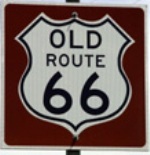 Searching for the real old parts is the key. 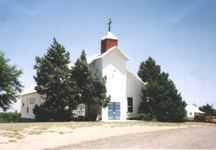 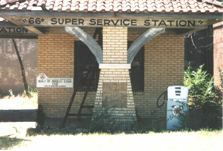 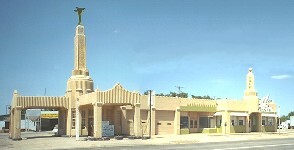 Bradley Kiser's 66 Super Station, built 1930 (now restored) and the oldest Baptist Church on Texas 66. 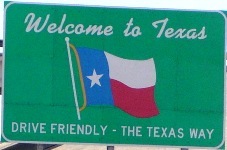 Visible from the interstate is a sign at the left wall that says: Trucker's welcome! 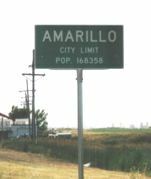 Now you're on your way towards Amarillo. 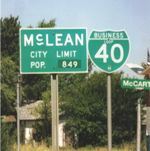 Make sure you spend a few days around here. 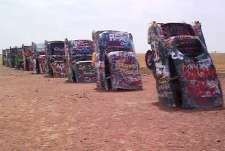 World famous Cadillac Ranch, near Amarillo. 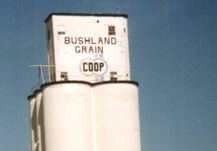 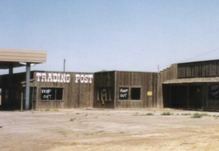 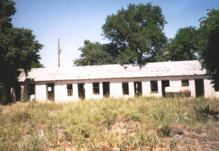 An old trading post in Bushland. 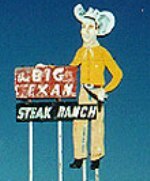 Just before entering Adrian, there's the Antique Ranch. 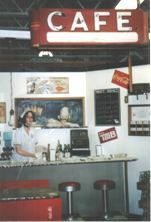 The owners converted an old garage from their parents to a nice shop and cafe. 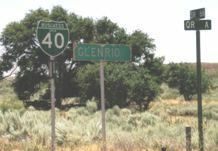 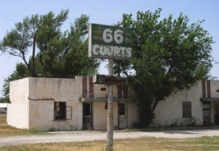 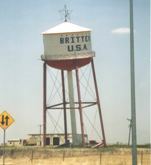 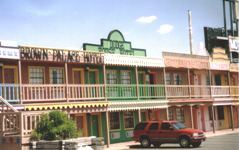 On the road to Glenrio, a virtual ghost town and the last stop in Texas.